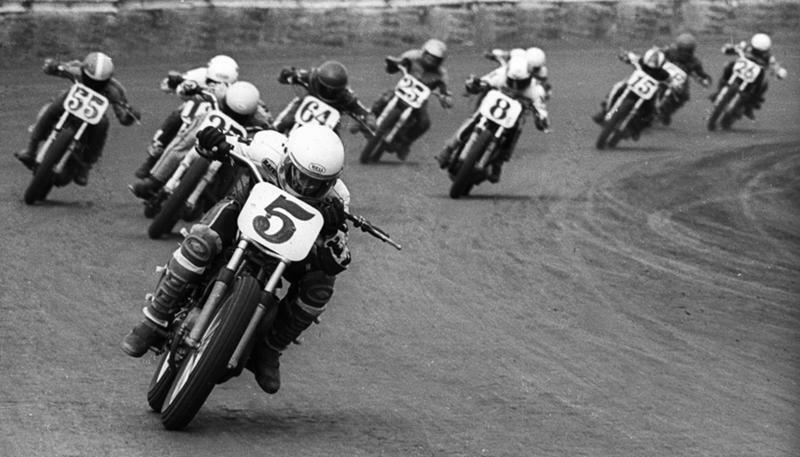 AMA Professional Flattrack motorcycle racing events in California from the mid-1970s thru the early 1980s. Tracks include Ascot Park,CA ( half-mile and TT) and San Jose,CA (mile and half-mile), Tulare,CA (half-mile), and Hanford,CA (half-mile). Also local TT tracks at Bakersfield, Porterville, Visalia, Tulare, and Fresno.